We realize how important our customers are and the huge impact they have on our business and its continued success. We pride ourselves on customer service and satisfaction, so when our customers refer us to their friends and family, they are paying us the highest compliment. 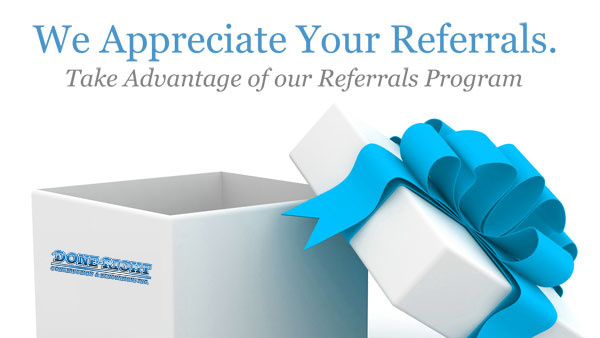 In an effort to acknowledge our valued customers, we created this Referral Program as a way to say “Thank you”. we will send a dinner for two your way!! 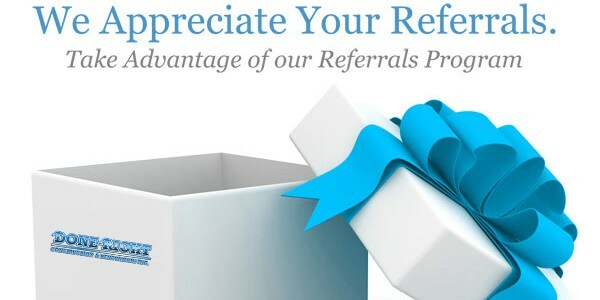 Don’t keep us a Secret…Refer us!